As much as some of us try to downplay it, we're all a bit starstruck, and a weekend in Hollywood is a good way to indulge our interest. Take a look at our Hollywood Pictures. 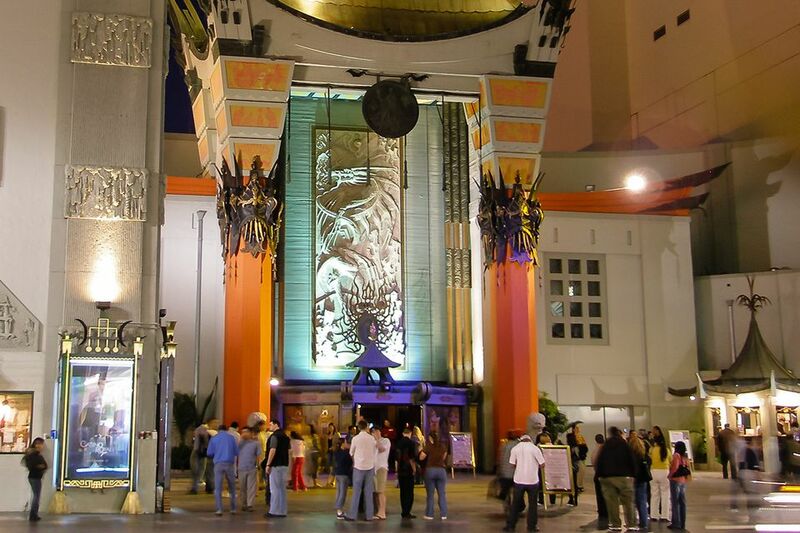 Hollywood is especially popular with film lovers and a great place for families. Los Angeles weather is good year round, but it will be smoggier in mid-summer and may be rainy from December through February. While you may be tempted to go when the Academy Awards ceremony happens, without a reserved bleacher seat on the red carpet, you're not likely to see much, and all the hotels will be filled to capacity (and therefore more expensive than usual). Everyone enjoys looking for their favorite stars on the Hollywood Walk of Fame and checking the hand- and footprints at Grauman's. As touristy as it is, it's one of our favorite things to do, too. Take a walk on Hollywood Boulevard. Let our Hollywood Boulevard Guide show you around. Be in the studio audience during the filming of a sitcom, soap opera, game show or talk show. It's free, but reservations are required, except for some game shows. Los Angeles Farmers Market: While it's not quite technically in Hollywood, I find myself going here every time I'm in the area. This Los Angeles tradition offers some of the city's best places to eat without spending a fortune, and the shopping is fun, too. Take a Studio Tour: Paramount is the only studio that's still in Hollywood proper, but the others aren't far away. For a more in-depth view of how movies are made, avoid Universal, where the tour is more show than substance. Go to the Movies: Grauman's Chinese Theater plays first-run films in its classic, main auditorium, and we think watching the red velvet curtains swish apart as the film begins, is half the fun of being there. The Egyptian Theater down the street offers classic films, and Disney's El Capitan plays family fare. Stalking Marilyn Monroe: If you're a fan of the blond bombshell, you probably already know that Los Angeles was her home town, and it's got tons of great places to visit as you remember her life and career. Find the spots where she grew up, lived and even her final resting place. Our one-day Hollywood, California itinerary may also help you plan. Hollywood Christmas Parade: This fun parade usually features a few stars, and is held on the weekend following Thanksgiving. Academy Awards Ceremony: You need to know about this mostly so you can avoid it. Hotels and restaurants will be sold out. The best "Hollywood" photograph is from the back of Hollywood and Highland, near the Starbucks where you'll find an oversized casting couch and the Hollywood Sign on the hillside behind. Spend some time on Hollywood Boulevard in the evening, when it's especially lively. We know they're popular, but avoid the cheesy "tours of star's homes" that leave from Grauman's. At best, you'll see houses that were once the home of stars who don't live there now and at worst, you'll be bored to tears with inaccurate "facts." On Hollywood Boulevard, Musso and Frank's flannel pancakes are legendary (6667 Hollywood Blvd.). Unfortunately, they're closed on Sunday, or find many choices at the Farmers Market. Hollywood is northwest of downtown Los Angeles. The most convenient freeway approach is US Hwy 101, exiting at Highland Avenue south. From I-10, take La Brea Avenue north to Hollywood Boulevard. Hollywood is 376 miles from San Francisco, 334 miles from San Jose, 378 miles from Sacramento, 127 miles from San Diego. The nearest airport is Burbank (BUR), but you'll find more flights going into Los Angeles International (LAX).